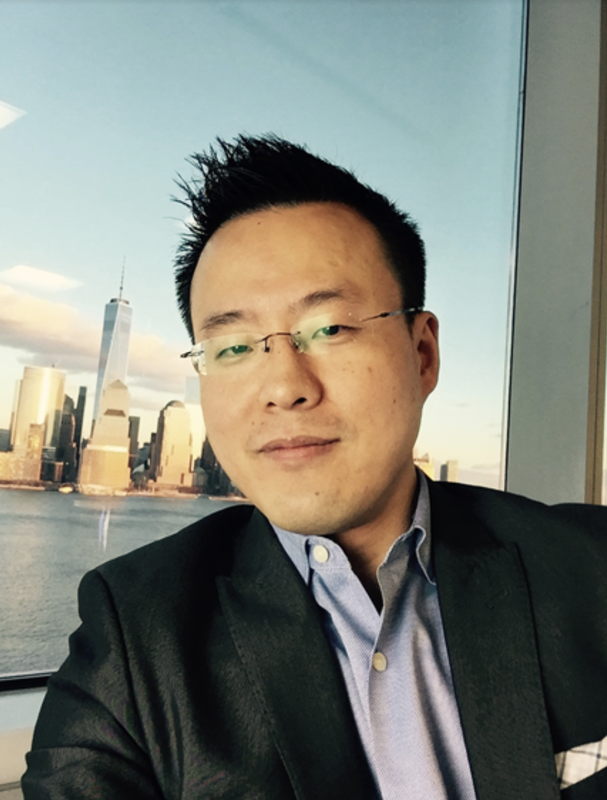 Dr. Tianyi (TJ) Jiang, co-CEO and co-founder of AvePoint, oversees product strategy and business development for AvePoint’s global businesses. He is one of the main architects in guiding AvePoint’s evolution from a SharePoint infrastructure tools company, to an information management solution focused Microsoft cloud expert—helping enterprises in their digital transformation to cloud. A recipient of Ernst & Young’s Entrepreneur of the Year award in New Jersey in 2010, Dr. Jiang received both a B.S. and Masters in electrical and computer engineering from Cornell University, and a Master of Philosophy and PhD in data mining from the Department of Information Systems, Operations Management, and Statistics, Stern School of Business, at New York University. Prior to AvePoint, I was a software developer and architect who designed and implemented high performance real-time systems such as fixed-income trading systems and equity program trading platforms for big banks. I have a passion for education, which has helped shape me into the person I am today. I taught classes during my graduate studies at both Cornell and NYU. Seeing my students not only understand the subject matter, but actually take a real interest in topics I’m passionate about gave me great joy. I also worked for Lehman Brothers on the fortieth floor of the north tower in the World Trade Center on 9–11. Fortunately, everyone on my floor made it out safely, but it was an experience that made me realize life is too short to not take risks and pursue your passions. That growth mindset ultimately drove me to become a software entrepreneur and start AvePoint. Here’s a little-known fact outside of the AvePoint walls: I once worked as a junior developer in a team of senior engineers that included AvePoint founder and Co-CEO Kai Gong. At the time, we worked at Bell Labs within Lucent Technologies. I must have made quite an impression on Kai, since we started working together to build AvePoint — which is now a 16-year-old company that over 15,000 businesses and 5 million users trust in the risk management and protection of their Office 365 and SharePoint data. We started developing DocAve, our first product for Microsoft SharePoint, in a public library in Somerset, New Jersey back in 2001. We made little to no money for the first three years — the kind of entrepreneur grit story most people come to expect. Since then, AvePoint has developed over 40 solutions for Microsoft Office 365 and SharePoint platforms, and has a world class team that spans across six continents in over 29 countries. AvePoint is a software vendor and developer that creates software solutions that help customers manage their data and maximize their investments with Microsoft Office 365 and SharePoint. To put it into context, we recently debuted our GroupHub solution to help our customers better manage and govern their use of Office 365 Groups, a highly popular collaboration construct within Office 365. Office 365 Groups is all about collaboration, ideal for project teams or several individuals working on documents, spreadsheets, project plans, scheduling meetings, sending email, or using group chat applications. If you think about it, each activity I listed functions from a different Microsoft product. Projects have many steps and layers, and you could end up using four or five Microsoft tools to get your work done. Now, imagine trying to keep up with, or collaborate with, multiple groups or project teams using four or five Microsoft products. Sounds a little daunting, right? Our GroupHub product helps you manage and organize all the Office 365 Groups of which you are a member, including proper retirement of these information assets. You can review and get into all your active and highly relevant groups on one screen — without getting overwhelmed by information. The AvePoint logo symbolizes a rising sun just above a mountain, but also a person with a bowing head. It reflects our attitude — dream big and strive to make a difference, but always with humility. I truly believe that our solutions help connect people and enable collaboration in a way that brings goodness to the world. For example, AvePoint Citizen Services cloud solution allows government agencies to better serve their constituents through easy to use case management automation and incident reporting, which truly embody the concept of accessible and responsible government. We also have a philanthropy program with the mission to impact humanity and drive change through technology, community, and education. This has involved donating our software to nonprofits through TechSoup, and providing paid time off for our employees to engage in volunteer activities. Two years ago, AvePoint teamed up with the International Organization for Migration (IOM), an organization affiliated with the United Nations and Microsoft, to launch 6Degree.org, a crowdfunding website that helps survivors of human trafficking in Southeastern Asian countries like Indonesia, Thailand, and the Philippines. From aid collected through 6Degree.org, human trafficking survivors receive assistance for several services to help them on the road to normalcy. We received an award for our work on the site, for which we are very proud. Earlier this year we continued with the goodness and donated $1 million worth of software and three years of services to the city of Richmond, Virginia. We recently relocated our operational headquarters to Richmond and wanted to bestow a gift onto the city like you would after being invited to someone’s home for the first time. Honor your foundation. AvePoint’s DocAve software is the first product we developed back in 2002, and continues to be one of the most sought-after products we offer. Although we’ve developed more than 40 products in the last 16 years, we still devote attention and resources to DocAve. …But, position for the future. At the same time, our company’s future is in the cloud. We recognized the need to pivot and not only offer our software-as-a-service (SaaS), but to develop solutions for the new collaboration and data protection challenges that our clients will face in a cloud-first world. I wish someone had told me that when you move to a SaaS and subscription business model, virtually all of your business operations need to evolve with it. We pivoted smoother than most, but there were quite a few bumps we had to solve along the way. A traditional license to subscription business model and a complete Cloud product conversion is definitely not an exercise for the faint-hearted. Be a strategic partner and understand your ecosystem. As a company in the technology industry, AvePoint prides itself in being a four-time Microsoft Partner of the Year. We’re also a Microsoft Certified Gold Partner across six major competency areas, which is the highest designation a Microsoft Partner can receive. We earned these accolades by focusing on what we do best — creating software solutions that increase and accelerate time to value for the investments our customers have made in Office 365 and SharePoint. Fail fast. It took some years for the IT industry to adopt the agile methodology, which means being flexible and quick in response to change and constant improvement. While it can be scary to operate under the agile methodology, we live by it at AvePoint. We try out ideas and learn what works and what doesn’t, but we do this quickly. There’s nothing worse than spending months or years on a development, only to find that it truly isn’t a solution. To avoid this, our mindset is to try, fail, and learn. Repeat until you find what works. Be constantly learning. At AvePoint, we also instill a sense of empowerment throughout the company that enables anyone to try out an idea, work across departments based on professional interests, and learn any and everything they can for growth and development. Each quarter, we shout out and reward employees through our Peer Recognition program. We also aggressively promote from within. Many of our AvePoint employees have served in multiple company roles across multiple global locations due to their tenacity and curiosity. Working across cultures, languages, and time zones allows our team to think globally while learning how to excel locally. I would love to have a one-on-one meeting with Bill Gates. Not only is Bill an industry visionary in transforming the software industry through Microsoft, his genuine interest in making a difference with initiatives driven from The Gates Foundation is truly inspiring. As technology entrepreneurs, we should strive not just in making technology to help businesses drive innovation, but in driving towards an overall vision of making a positive difference towards our community. Life is too short to only focus on business balance sheets and bottom lines. Those of us that are fortunate enough to have the chance to make a difference should work to make an actual difference.